How to set up reCAPTCHA for WordPress and WooCommerce registration, reset password and login forms. 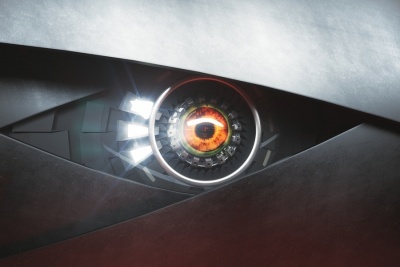 Stop spam comments with invisible reCAPTCHA. What is reCAPTCHA and how does it work? reCAPTCHA is a human verification mechanism which created and maintained by Google as a free anti-spam service. 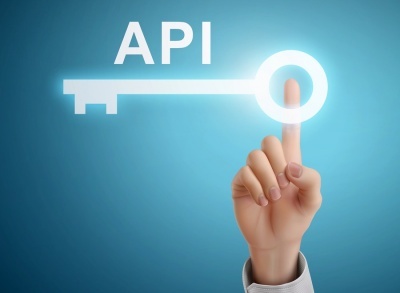 Every time a user submits the form with reCAPTCHA, the WP Cerber plugin makes an HTTP request to the Google server to make sure that the form has been submitted by a human, not a bot. If the Google server replies with negative “No it ‘s a bot”, further processing of the form will be interrupted and user see the message: ERROR: Human verification failed. 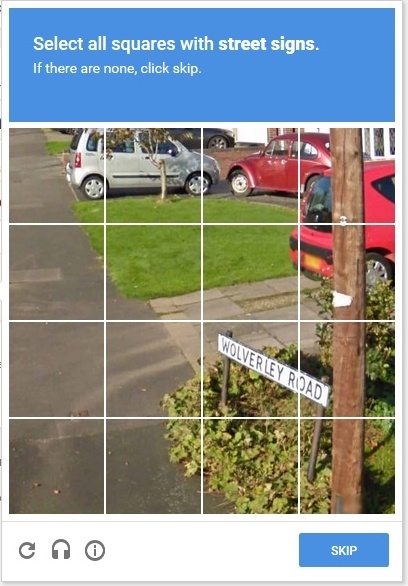 Please click the square box in the reCAPTCHA block below. By the way: Why reCAPTCHA does not protect WordPress from brute-force attack. You can easily set up reCAPTCHA on a website having the free WP Cerber Security plugin installed. But before you can start using reCAPTCHA on any website, you have to obtain a Site key and a Secret key on the Google website. To get the keys you have to have Google account. Note: If you are going to use an invisible version, you must get and use Site key and a Secret key for the invisible version only. After keys have been created for you, go to the reCAPTCHA settings page of the WP Cerber plugin. Copy keys to the appropriate fields in the reCAPTCHA settings. Check checkboxes for all forms you want to be verified with reCAPTCHA. Make sure that reCAPTCHA widget is displayed correctly. An important note for WooCommerce users: you cannot enable and use two visible reCAPTCHA widgets (for two forms) on the same page. Only one widget per page is allowed. So, if you have two forms on the same page, choose only one, more important form or use the invisible version. If you need to align the visible reCAPTCHA widget, use the custom CSS style with site Customizer. Scroll down and click Additional CSS. Enter the following CSS code to align reCAPTCHA widget to the right. Note: When editing CSS style in the site Customizer, your changes will automatically be applied to the preview window, but they won’t actually be saved until you click the Save & Publish button. 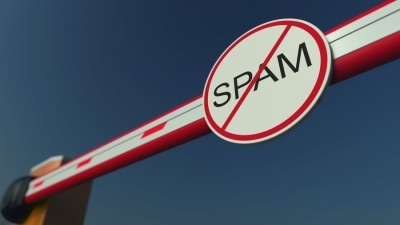 Cerber anti-spam and bot detection engine is a great alternative to Google reCAPTCHA. The engine protects WordPress comment form and is capable to protect all contact and registration forms on a website. It’s compatible with virtually any form. Tested with Caldera Forms, Gravity Forms, Contact Form 7, Ninja Forms, Formidable Forms, Fast Secure Contact Form, Contact Form by WPForms. First of all, inspect the Activity tab. If you see the message “reCAPTCHA settings are incorrect”, that means that your key and secret are not correct and have not been recognized by Google server. If you see the message “Request to the Google reCAPTCHA service failed”, that means that your web server is unable to connect to external servers. Ask hosting provider for this issue. Sometimes hosting providers block outgoing HTTP requests from websites. Some website owners have negative experience with reCAPTCHA. From time to time we get complains about broken layout on a form. Sometimes the layout of a page is not compatible with styles of the reCAPTCHA widget. If you have such an unpleasant experience let us know. Although Google offers this service for free, it’s actually not completely free. Because Google is a huge business and doesn’t offer something for free. So, you have to pay something in return and in this case, you will share some, unknown to us, details about your browser and your website. The following explanation has been taken from Google website, you can check it when you register your website on reCAPTCHA service page. 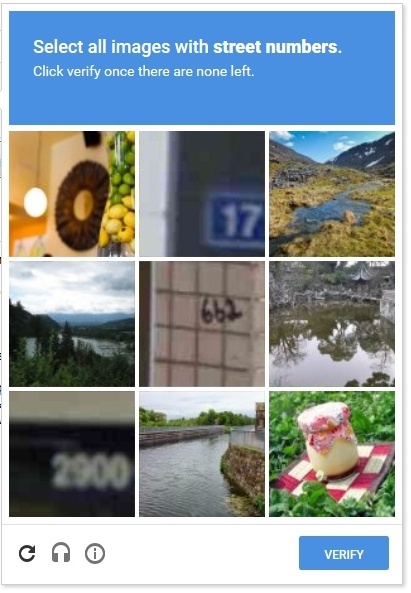 What does reCAPTCHA look like? Sometimes you might see a bit complicated graphical reCAPTCHA with a set of pictures. You have to select suitable images according to explanation above them. My have enabled the recaptcha feature in the wp admin login page, but it keep showing human verification failed even thought the username and password are correct. Wonder how can I disable the recaptcha manually? You have to remove the plugin folder by using FTP client or any file manager in your hosting control panel. Once you have logged in to your website reinstall the plugin and check the activity log for relevant errors. HI , i want to confirm about wp cerber plugin , there are two [limit attempt] options ,one in antispam tab and other in dashboard>>main settings , are they are the same or different? thanks. The first one is main and it is for limit login attempts. The second one, on the antispam admin page, is for blocking aggressive spammers.